2009 November Archive « .Evolving Music. Nominate MobBase and MixMatchMusic for the Crunchies!
. Closed Tags: Crunchies, GigaOm, mixmatchmusic, MobBase, TechCrunch, VentureBeat. Have you heard of the Crunchies? As stated on the website, they “are to technology what the Oscars are to Hollywood.” This event is co-sponsored by GigaOm, VentureBeat and TechCrunch and for all of us start-ups, being considered for an award gives us some nice exposure. And the chance to win! This is where we need your help. It literally only takes a few seconds, and you can vote everyday. You have until Friday, December 4th, but instead of putting another item on your to do list, why not just nominate us right now?! If you want to be even more awesome and help us get the word out – or if you are a social media geek and can’t help but document your every move – you can easily broadcast your nomination on Twitter and Facebook or embed a voting badge on your blog (like we did below). Thanks!
. Closed Tags: Doolittle, Free Music, The Pixies, Topspin Media. Like the Pixies? To celebrate 20 years of Doolittle, their epic 1989 album, the band is offering 4 tracks from a live show in Paris free with the help of Top Spin Media. Grab them below! Remix Filthy Dukes & Win a Day in their Studio!
. 3 Comments Tags: Conny Plank, Eurythmics, Filthy Dukes, Kraftwerk, mixmatchmusic, Remix Contests, Remix Wizard, TupacRobotClubRock. Most musicians have started to realize the importance of social media. And by social media I mean more than just having a MySpace page for your band. While not all of them are on twitter like they should be, many have at least figured out where their target listener demographic hangs out. 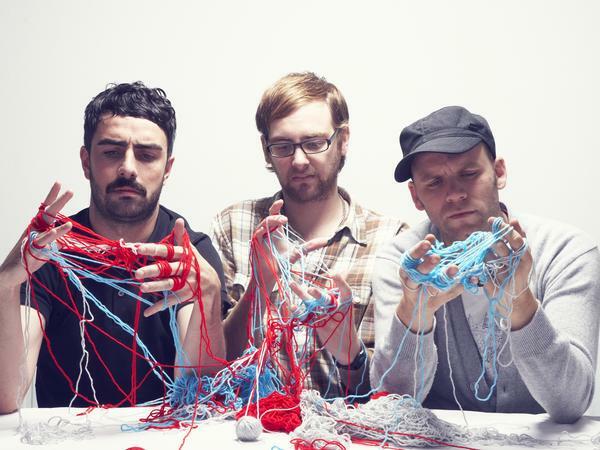 One band that is clearly ahead of the curve is British synthpop trio, Filthy Dukes. The first thing you notice on their website is the social media links to Facebook, MySpace, Bebo, YouTube, Flickr, Last.fm, Wikipedia, and Twitter. Get in on the action yourself and have a go at remixing their song, TupacRobotClubRock, using MixMatchMusic’s Remix Wizard. The song is an electro-rock banger, complete with dirty synths, driving beats and several different vocal tracks for you to play with. The winner will win a day with the Filthy Dukes in their very own studio! Not only will you get the chance to see the band at work, you’ll get to perfect your own remix on the mixing desk of Conny Plank, Kraftwerk’s legendary producer. This is the very mixing desk, built to Plank’s own specifications, that was used on everything from Autobahn to the Eurythmics’ debut and Ultravox’s Vienna. This piece of musical heritage is now pride of place in the Filthy Dukes’ studio. Get remixing for your chance to bag this amazing unique opportunity! Depending on your audio editing expertise (or lack thereof) you have two options available to you. You can either download the stems for free and use any software you want (go nuts! ), or just click on the MixMaker button on the widget to make a remix in MixMatchMusic’s simple online music editor, which is fairly intuitive and easy-to-use for the layman, yet still full of cool features. This is also a great way to just see how the song was made. Once you’ve completed your remix, don’t forget to upload it so that others can listen to, vote on and share it. Filthy Dukes will select the winning remix, taking into account the votes and rating each remix receives on the Remix Wizard widget. The deadline for entry is 1/11/10. Date in the studio TBA on consultation of band and winner. No purchase necessary. No transport or accommodation included. No prize alternatives offered.
. 3 Comments Tags: Hella Sound, running, Ryan Kruder. This is for all you runners out there. You know how listening to music while you’re zipping through busy city streets or navigating that woodsy trail somehow just makes it easier? Of course, running in the woods and listening to the sounds of nature is a beautiful zen-like thing. However, I’m guessing that most of us fall into the category of those who are motivated by music. That dance music in the gym probably helps you push it a little harder (at least when showing off for the hottie across the room isn’t enough.) Running though, especially long distance running, is a different ball game – a mind game, really. When you are fatigued and aching but still want to squeeze out another 5 miles, your internal monologue can seriously benefit from a soundtrack. A new company called Hella Sound posits that “the right music can help you run faster.” A fairly logical assumption, to be sure. But, what constitutes the right music? One might think that something upbeat and with a good beat is best. Or is it just about which music speaks to you personally? Hella Sound thinks that the best running music is synced to your pace and designed to burn calories. Apparently, the right music is an “ergogenic aid—an external influence that positively affects your physiological performance”. There are scientific studies and stuff. Some of those studies have made it very clear that tempo is one of the most important important factors, with 120-140 bpm being ideal for running. Similar to the average person’s heart rate while exercising. 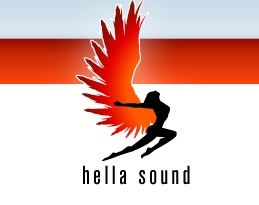 To address this need, Hella Sound is creating customized running songs. Whereas mass market songs are usually around 3 minutes in length and between 86 – 120 bpm, these songs are 30 minutes in length and match your stride (between 135-175 spm for the average person.) Check out what’s currently available and see if any of it works for you. Or join their mailing list for updates. Their blog has lots of goodies for anyone interested in running, music, or the intersection of the two.
. Closed Tags: ebook, Edward Cufaude, mixmatchmusic, music production, Remix Contests, Remix Wizard, RemixComps.com, remixing. Our friends over at RemixComps.com, who we raved about earlier this year, have passed along a great resource. For anyone who is in any way involved in or interested in remixing, this is a must have! 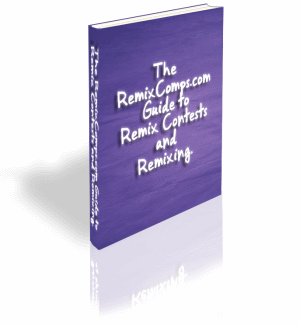 Edward Cufaude has written a 20-page ebook entitled The RemixComps.com Guide to Remix Contests and Remixing, which is chock full of tips and info about virtually every aspect of remixing. MixMatchMusic‘s increasingly popular Remix Wizard gets a few mentions too! This ebook is FREE to all you readers of Evolving Music. You can download it here. Happy reading! If you can’t get enough of this stuff and need more remix contests to throw yourself into, you should subscribe to the Remix Comps newsletter, which will arrive in your inbox on days when new contests are added to the site. Another great resource is Rhythm Creation, also by Edward Cufaude. You can also subscribe to the Remix Wizard new promotions feed. Here, he’ll teach you things like: How to Get Fatter, Heavier, Different Drum Sounds by Layering Your Samples, How a Remix Competition Can Help Music Promotion, and How to Remove Clicks from the Beginning and End of Samples.